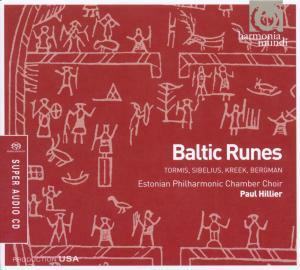 Estonian Philharmonic Chamber Choir (EPCC) is one of the best-known Estonian music groups in the world. The EPCC was founded by Tõnu Kaljuste in 1981, who was the artistic director and chief conductor for twenty years. In 2001–2007, the English musician Paul Hillier took over. In 2008–2013 the artistic director and chief conductor was Daniel Reuss. Since 2014 Kaspars Putniņš starts as the artistic director and chief conductor of the choir. 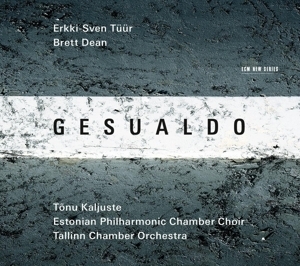 The repertoire of the choir extends from Gregorian chant and baroque to the music of the 21th century, ever special focus on the work of Estonian composers (Arvo Pärt, Veljo Tormis, Erkki-Sven Tüür, Galina Grigoryeva, Toivo Tulev, Tõnu Kõrvits, Helena Tulve) and introducing it to the world. 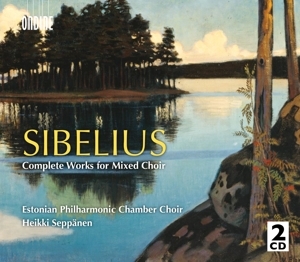 Each season the choir gives about 60–70 concerts in Estonia and abroad. The EPCC has cooperated with a number of outstanding conductors and orchestras – Claudio Abbado, Helmuth Rilling, Eric Ericson, Ward Swingle, Neeme Järvi, Paavo Järvi, Nikolai Alekseyev, Olari Elts, Andrew Lawrence-King, Roland Böer, Frieder Bernius, Stephen Layton, Marc Minkowski, Christoph Poppen, Sir Colin Davis, Louis Langree, Paul McCreesh, Andrés Orozco-Estrada; with Norwegian, Australian, Lithuanian, Prague and Stuttgardt Chamber Orchestras, London Symphony Orchestra, Mahler Chamber Orchestra, Berlin Rundfunk Orchestra, Concerto Copenhagen, Concerto Palatino, Salzburg Camerata, Les Musiciens du Louvre-Grenoble, London Symphony Orchestra, Frankfurt Radio Symphony Orchestra, Basel Chamber Orchestra and with Estonian National Symphony Orchestra and Tallinn Chamber Orchestra. The EPCC has been a welcome guest at numerous music festivals and outstanding venues all over the world, for instance at BBC Proms, Mozartwoche, Abu Gosh Music Festival, Hong Kong Arts Festival, Moscow Easter Festival, Musikfest Bremen, Salzburg Festspiele, Edinburgh International Festival, Festival Aix-en-Provence, International Cervantino Festival, Vale of Glamorgan, Bergen International Festival, Schleswig-Holstein Musik Festival, Sydney Opera House, Wiener Konzerthaus, Amsterdam Concertgebouw, Versailles’ Opéra Royal, Palau Musica in Barcelona, LSO St Luke’s in London, Esplanade in Singapore, Kennedy Centre in Washington, Lincoln Centre and Carnegie Hall in New York etc. Another important aspect in the choir’s life is recording music (for ECM, Virgin Classics, Carus, Harmonia Mundi, Ondine), resulting in award-winning CDs. 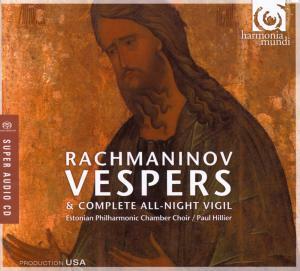 EPCC recordings have won twice GRAMMY-Award for Best Choral Performance: in 2007 for the album Arvo Pärt. 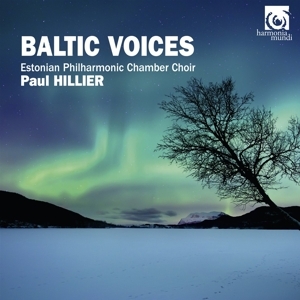 Da Pacem (Harmonia Mundi) with the conductor Paul Hillier and Arvo Pärt. 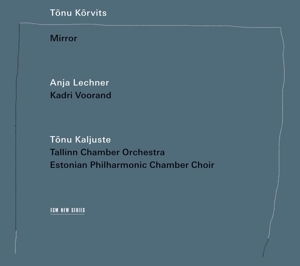 Adam’s Lament (ECM) with the conductor Tõnu Kaljuste. 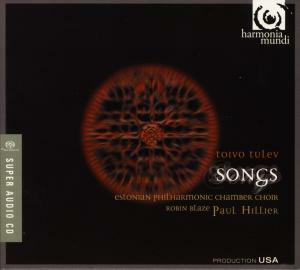 All in all, the choir has 14 Grammy nominations with the works by Arvo Pärt, Erkki-Sven Tüür and the music of Nordic countries. The EPCC recordings have won also the award Diapason d’or, Preis der Deutschen Schallplattenkritik, Danish Music Award, de Choc de l’Année Classica 2014 etc.